What class will you go to? Sanitation in disaster? Emergency communication? 8 Signs of terrorism? Financial prep? Cooking with different types of fuel? Will you hear the compelling story of keynote speaker and 9/11 survivor Joseph Dittmar, Sr.? 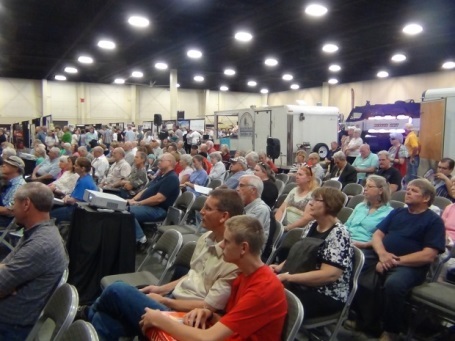 The annual Utah Prepare Conference and Expo is one of Utah’s largest events for emergency preparedness. We invite media coverage to announce the conference to the public and also any coverage you would like to provide Friday and Saturday. Cost: $10 per person for two-day access (Ages 12 and under are free). It’s a perfect family activity for National Preparedness Month, which Gov. Gary Herbert has also declared as Utah Preparedness Month. We hope you will consider attending our upcoming 7th annual offering. It’s a perfect event for families, workplace safety directors, emergency managers, community preparedness organizers, CERT teams and preppers. 9/11 survivor Joseph Dittmar, Sr. speaks Saturday. 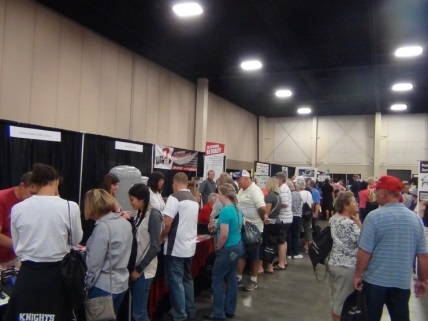 There will be many great preparedness classes and demonstrations, dozens of preparedness partner booths and lots of great displays of emergency vehicles and safety equipment. You won’t want to miss it. 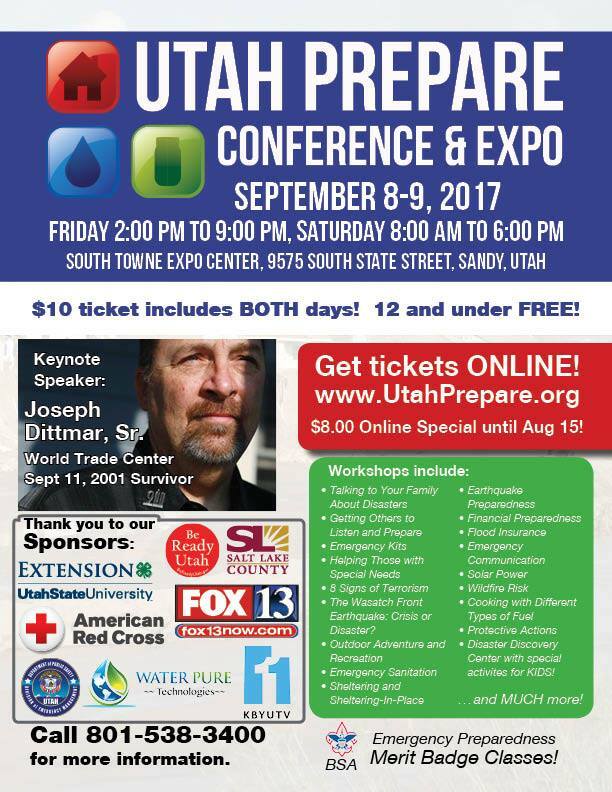 More information, including registration details and information for vendors and exhibitors, can be found at www.utahprepare.org. Don’t miss the chance to learn from experts and maybe pick up some preparedness supplies for yourself. Joe Dougherty is the public information officer for the Division of Emergency Management. Wade Mathews runs DEM’s Be Ready Utah program.